"Tac Axe Lite"...Constructed of 1/4" Thick AR500, flame hardened and quenched blade. 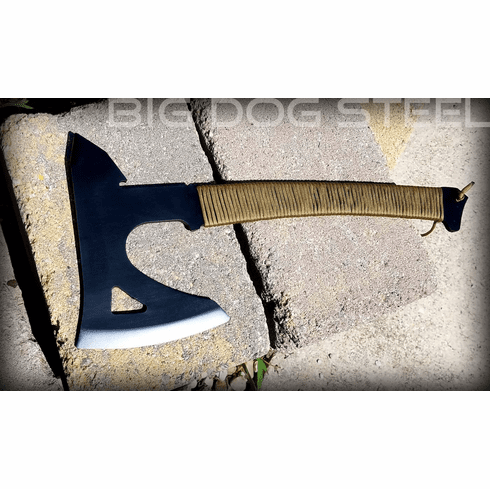 Tough, durable construction and well over 1 lb lighter than our normal "Tac Axe". Larger beard on the blade with a spike on the back. Cuts like a champ.